Created by City of Wolverhampton. Powered by Spacehive. Do you love Wolverhampton? Are you proud of your city? We are looking for unusual, interesting and innovative ideas to make Wolverhampton even better - submit your project by 19th March to take part in our Spring funding round. 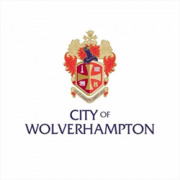 City of Wolverhampton uses Spacehive to help you create, fund and deliver your project idea. It's not just us supporting projects. Esmée Fairbairn Foundation are active too, with £30,000 of funding and in kind support on offer.